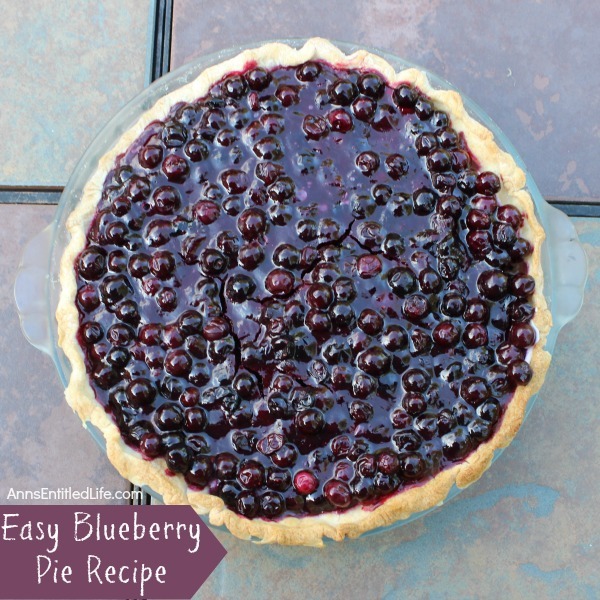 If you are looking for an easy to make, delicious and oh so sweet blueberry pie, look no further!! I made this again last week after forgetting just how wonderful it is, and wow was I glad I did! It truly is simple to make, and delicious. The leftovers hold up quite well in the refrigerator too – it takes Hubby and I 3-4 days (depending on if he has pie for “breakfast”) to go through a pie, and this blueberry pie held up really well! 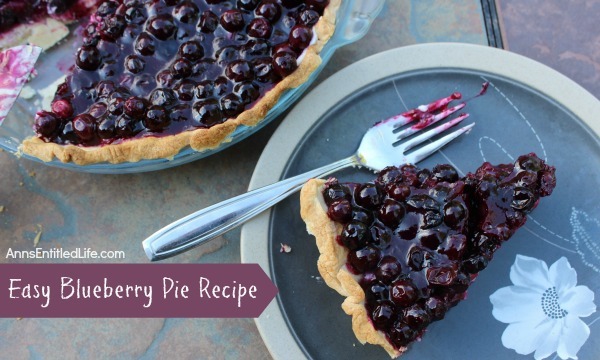 • To print the Blueberry Pie recipes, click here. Yum.. sounds & looks really good! Made this pie and it was easy and good so I made,another one. Will save recipe! Thank you. 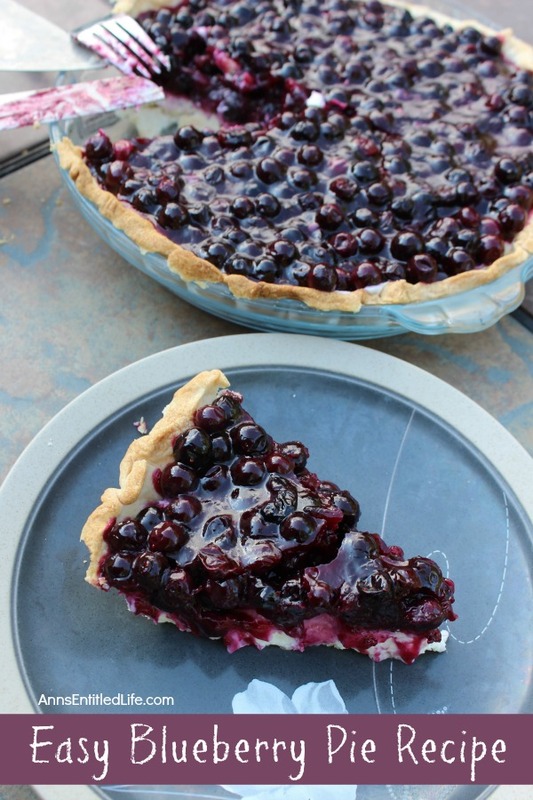 The Fresh Blueberry Pie was delicious and easy. However, I used a 10″ pie crust because the filling was too much for a 9″. Also, I simmered the blueberry mixture first and while it was cooling, mixed the cream cheese and whipped cream mixture. It saved time. Delicious pie. I will definitely be making this again.